New Star Signing in The Transfer Window! 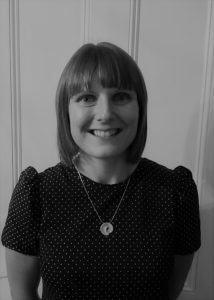 This month We are delighted to welcome Specialist Independent Prescribing Optometrist Elaine McKechnie to our Star Studded Team! Elaine, along with our own Gary McMullan, is one of the very few Independent Prescribing Optometrists in the region, a much sought after qualification. She has worked extensively in The RVI as well as Independent Practice and is passionate about the eyecare of her patients. Her recent experience of working in The Eye Emergency Department will prove invaluable to The Practice. What’s more, we can vouch for her being just a lovely person, and is destined to be a huge hit with patients and staff alike. She joins our established Team of optometrists, Nigel, Judith, John, Gary and Jim who are all very much looking forward to working with her. Next Next post: HELP US NAME OUR PUPPY!!!! !